Nice list! I do love the cape but I was always confused how it magically attached to his feet during flight. 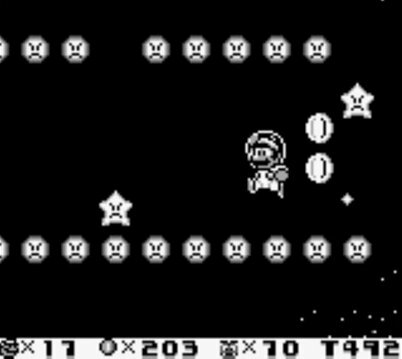 I wonder if Super Mario Land 2's Super Carrot could qualify for the list? Maybe not, since it doesn't really give flight, just lets Mario float slowly to the ground afterwards. Still, kind of a unique item and keeps Mario airborne for various stages. Well obviously, it's a *MAGIC* cape! 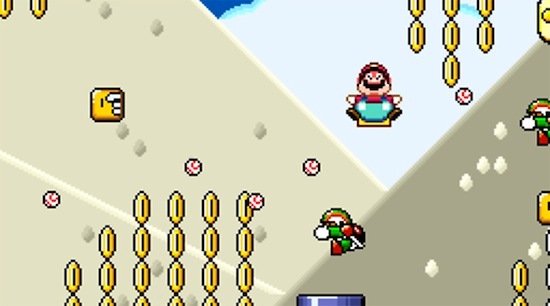 The cape is definitely my favorite of Mario's items in any Mario games not just flying items. I definitely considered it! 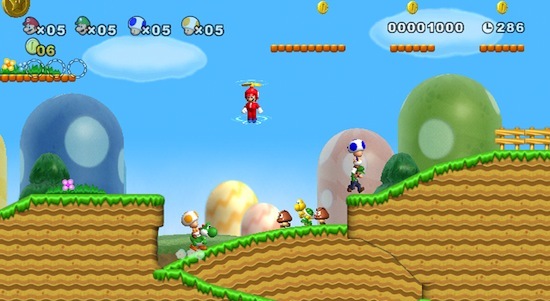 (Among other things like FLUDD, Boo Mario, using the Cannon, and more). But yeah, its airborne capabilities don't quite match the other stuff on the list, as you mentioned. But hey, I gave Super Mario Land some love! 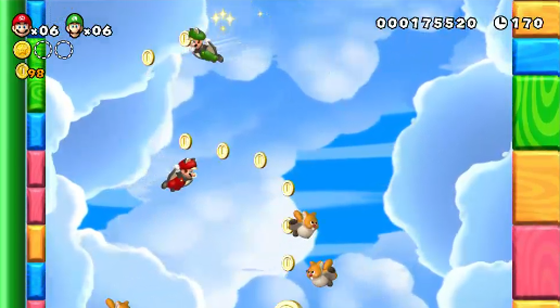 And fully acknowledged the awesomeness of Raccoon Mario returning in NSMB2. I would've been disappointed had the cape not been #1. It's such an awesome power-up. This thread makes me want to play Super Mario World again. Great list! My personal favourite is the raccoon tail. Was glad to see it return in NSMB2, now we wait for the cape to make its return. I just replayed Mario World this past weekend with my brother in law. It's still my favourite Mario game, and a lot of that has to do with the cape. I feel like #10 is better in theory than execution though, since you don't even get to use it in a real stage in the game. With strict application Helicopter Yoshi doesn't count since Mario isn't even with him during the transformation, but I'd find a way to squeeze it into my list. Squirrel Mario definitely grew on me once I realized the concept revolved more around gliding than flying, and played some of the challenge areas that really made you get your gliding skills down. Helicopter Yoshi is pretty sweet, for sure, and he did land pretty high on my Yoshi list, if you'll recall! Oh yeah, you did a Yoshi list, ha ha. Wouldn't make much sense to include him here then. Oh yeah, that's cool. I was also wondering if you considered the "mega-trampoline" from Super Mario Bros.: The Lost Levels. Mario doesn't get much more airborne than that, lol! The music is pretty good in that stage, too! Oops! I did not even consider either the Lost Levels' mega-trampoline or the Space Zone stuff from SML 2. I knew there were probably a few things I didn't think about. It's been a while since I played Lost Levels (SNES version), so naturally I just didn't think about it. I should have remembered the space stuff as I have played SML 2 more recently. Honestly though, I'm not sure it would have cracked the Top Ten. Maybe. Oh yeah, that music is wonderful! Well, you did include stuff I wasn't even aware of...I mean, I didn't know there was a Red Star power-up in Super Mario Galaxy! It's good to have lists like this and be reminded of gaming info from others. It's surprising how much I've not been aware of and/or forgotten about, ha ha. Y'know, for being such a "rotund" fellow, Mario sure can fly. Pretty impressive. Eric, it makes me so happy you gave the cape its proper due. 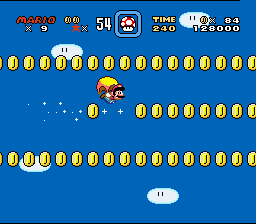 My only problem with the cape is that it is immensely overpowered in SMW. All that matters is that the Cape is on top, everything else just falls short. How about riding the Para-Beetles? I feel bad making them flap so much harder that they overcompensate and ascend even with Mario on their back. Makes me feel like a real jerk. Over powered how? Doesn't it just attack with the same power as the raccoon tail? As for flight, it does what a cape does. I guess its closer to a P Wing in the right hands, and in that sense it could be said overpowered. Otherwise, it just is what it is. Number one is disappointing, but not surprising. 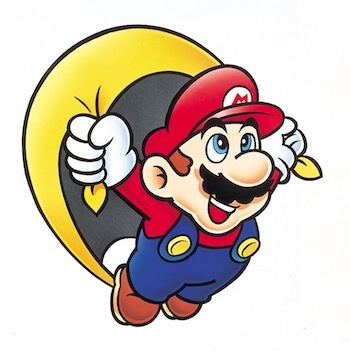 With all these cool Mario powerups like a raccoon tail and a balloon, a cape just seems bland and uninspired in comparison. Not to mention how the cape nearly makes Mario like Superman, being nearly invincible with how many enemies it can swiftly and easily defeat or defend against, and has near limitless flight. Just makes things way too easy. Most of the other choices are more interesting, fortunately. The Red Star in Galaxy was pretty cool, it's just a shame you could only use it in the Observatory outside of the level it was introduced. I figured it'd be back in Super Mario Galaxy 2 since I thought the reason it was under-utilized was due to time constraints... I have no idea why it didn't return. The propeller suit was fun, but it's been replaced by the squirrel suit which pretty much does the same thing except also let you glide and cling to walls. Nice to see something obscure like the Sky Pop in there. I recall having trouble figuring out the Wing Cap when I first used it, but it was fun after I got the hang of it. 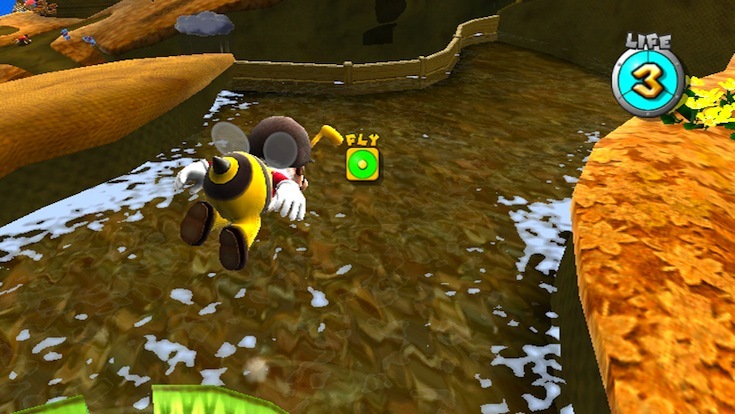 Bee Mario scares me. @DrFinkelstein I didn't want to double post, but I guess I'll fill this one. Firstly, one difference is that the cape swing is instantaneous. The raccoon tail has a brief moment where Mario swings his tail forward, so this requires a small degree of timing to whap enemies, but with the cape, you can just mash the Y button and nothing can touch Mario from the front without getting smacked. Second, the cape hits enemies on both sides of Mario, whereas the raccoon tail strikes only what's in front of him. So now, if you mash the Y button then Mario is untouchable from both sides. Third is what the spin jump adds to the mix. 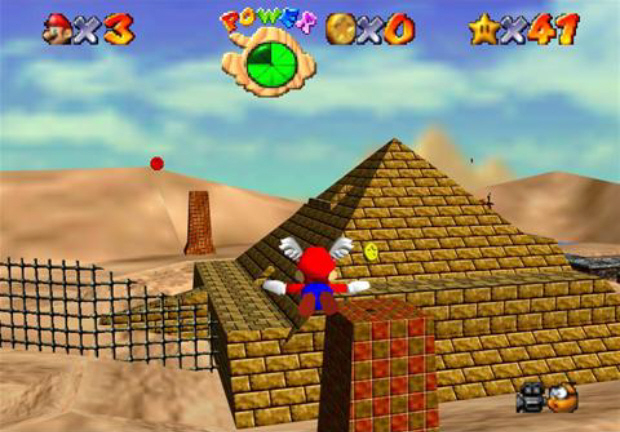 This allows Mario to jump and spin the cape wildly, with a little more range than usual even, so, combined with the stomp power of the spin jump, Mario is now protected from three sides. 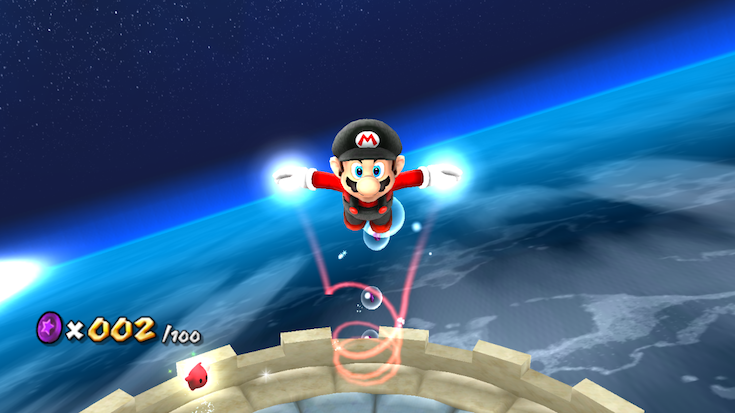 Only a hit dropping from directly above can hurt Mario during a spin jump. Fourth is that, during the period of flight where Mario is holding his cape to glide, if you get hit by an enemy here, Mario will not take damage. Any hit here will simply knock him out of flight without damaging him. There may be more, but these four things are what make the cape so much more powerful than the raccoon tail. Aww, I was ready to jump on this! Good explanation of the overpowered magic of the cape though!